California revokes registration of 16 Uber self-driving vehicles. 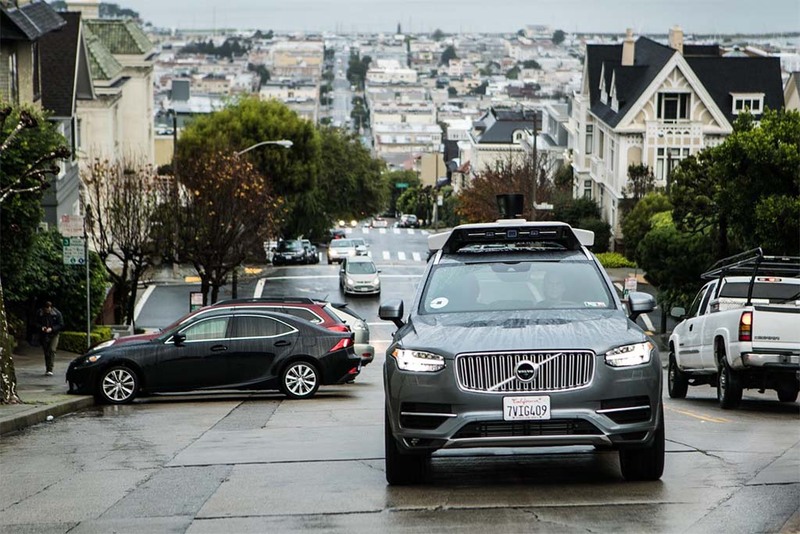 Uber has pulled its autonomous Volvos out of San Francisco after their registrations were revoked. Uber has pulled a test fleet of autonomous Volvo XC90s off the streets of San Francisco after being told the California Department of Motor Vehicles had revoked their registrations. The confrontation followed the car-sharing service’s decision to launch the pilot program without getting the necessary state permit – a move the DMV said 20 other companies have taken. Uber also came under fire after it became widely reported that some of its cars were failing to obey traffic laws, putting other motorists, pedestrians and bicyclists at risk. “We’re now looking at where we can redeploy these cars but remain 100 percent committed to California and will be redoubling our efforts to develop workable statewide rules,” Uber said in a statement. Uber CEO Travis Kalanick has said that, longer-term, the company wants to adopt fully driverless technology that would help it drastically reduce the cost of a ride, making it cheaper to use a service like Uber than owning a car. In the near-term, Uber has become an active proponent of autonomous vehicle technology that will still require an “operator behind the wheel, launching its first public test in Pittsburgh in September. The company also has a research center in that city. 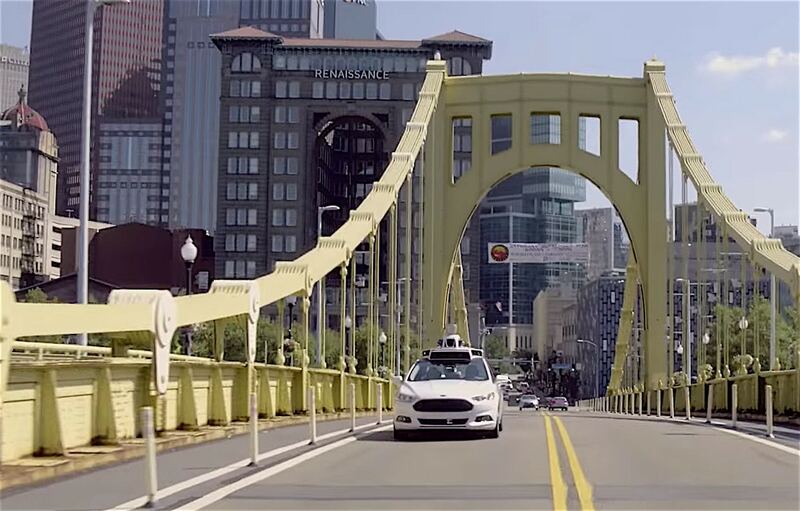 Uber's autonomous vehicle experiment has gone far more smoothly in Pittsburgh. While that project has so far gone relatively smoothly, things got off to a rocky start in San Francisco right from the get-go early last week. Anthony Levandowski, head of Uber’s autonomous program, told reporters that the company would not seek the requisite state permit. ‘This is where science and logic needs to trump blind compliance,” he explained. California officials quickly fired back. “If Uber does not confirm immediately that it will stop its launch and seek a testing permit, DMV will initiate legal action,” DMV attorney Brian Soublet wrote in a letter to Levandowski. On Wednesday, DMV Director Jean Shiomoto sent another letter to Uber saying she would “personally help to ensure an expedited review and approval process” that could take less than three days. It is unclear why Uber decided to abandon San Francisco, but the ride-sharing service had other problems crop up since the autonomous experiment began there. Numerous reports surfaced indicating that the modified Volvo SUVs were running red lights, failing to yield to pedestrians, improperly entering bicycle lanes and committing other moving violations. With an active pedestrian and bicyclist community, there were fears that the Uber vehicles could cause injuries or even fatalities. The company itself said that it was trying to correct a “problem” with the vehicles. Observers have questioned why Uber failed to get the necessary permit, which costs only $150 per vehicle. One possibility is that the ride-sharing company would be required to report problems – including not only crashes but instances where human operators had to take control — if it did register with the state. That is not required as part of the Pittsburgh experiment. Waymo, the recently renamed Google autonomous vehicle unit, has so far reported 29 minor crashes, almost all blamed on other drivers. This entry was posted on Thursday, December 22nd, 2016 at and is filed under Automobiles. You can follow any responses to this entry through the RSS 2.0 feed. Both comments and pings are currently closed.